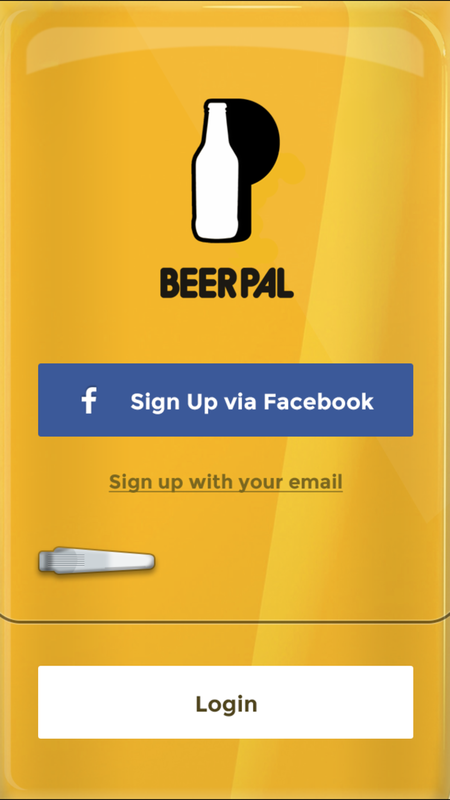 When BeerPal first launches you will be greeted with your virtual fridge door, you can either sign up manually or with Facebook. 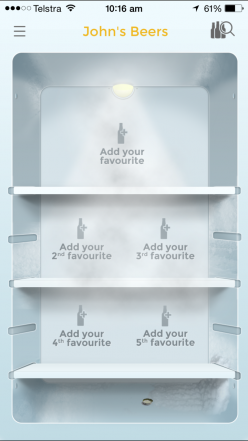 After signing up it’s now time to start filling your shiny new virtual fridge with your favourite beers. It’s important that you get them in the right order too! 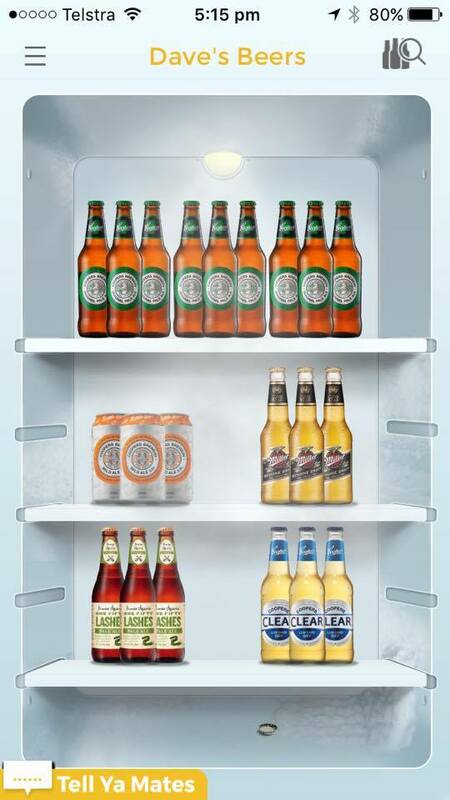 Now that your fridge is filled with all your thirst-quenching favourite beers, just tap on a beer and check out the specials near you instantly. 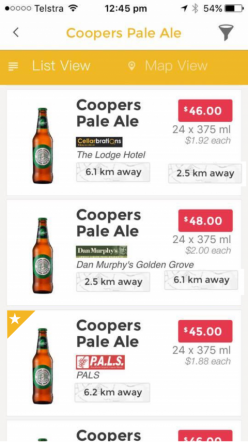 Selecting a favourite beer brings in the specials, simply displayed and can be filtered by distance, price and more.  There is also a map view for all you more visual minded folk or when travelling. 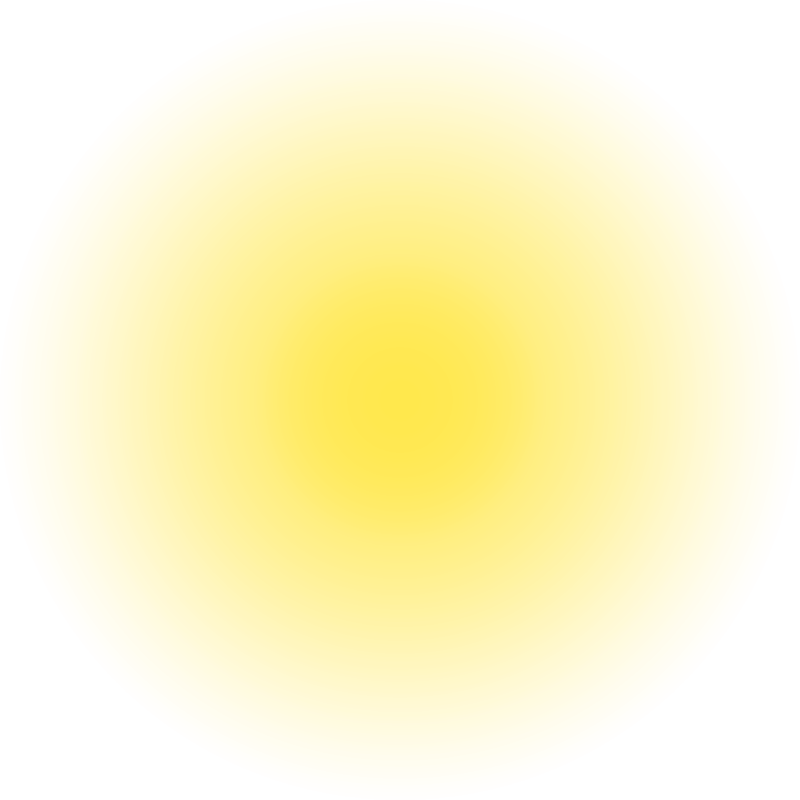 Before hopping in the car to got shopping, you can check the full details, including time left on deal, store address and if there are any bonus offers such as a free stubby holder. 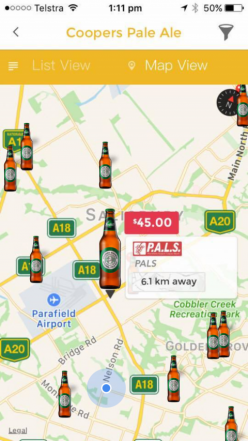 BeerPal searches liquor stores and pubs websites everyday Specials are collected for over 6,000 stores across Australia. 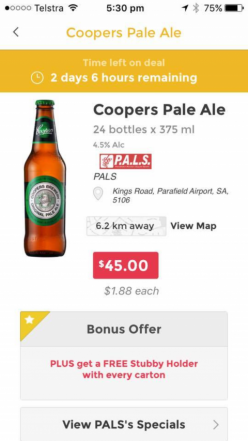 BeerPal collects the beer brand, pack type, size, state, special price, start date, finish date plus any additional offers the specials are then magically linked to your virtual fridge in BeerPal ready for your viewing. Always know who is advertising your favourite beers compare prices and choose where to shop in advance avoid the “sorry mate, that beer’s not on special this week”. Instantly know where to go, no more driving around and being disappointed when your beer has gone off special. Plan your beer buying trip on the way home from work, cut through the clutter searching through store adverts no more surfing the web. 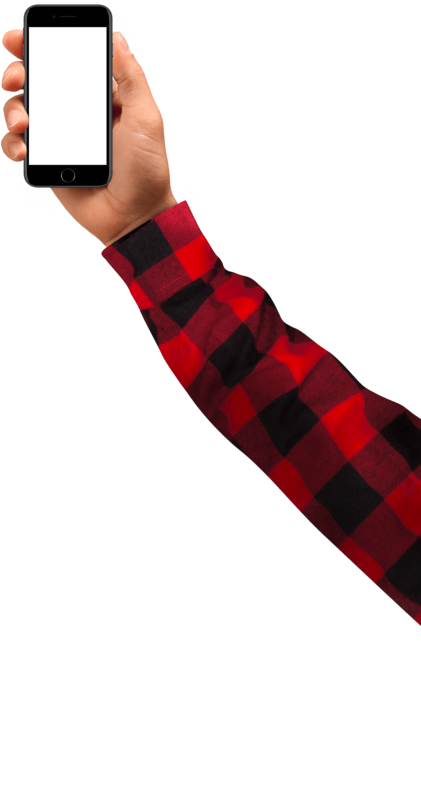 Got a questions?  Have some feedback for us?